Thunderstorms - some locally heavy downpours are possible, especially late. A few storms may be severe. Low 61F. Winds SSE at 10 to 20 mph. Chance of rain 100%. 1 to 2 inches of rain expected..
Thunderstorms - some locally heavy downpours are possible, especially late. A few storms may be severe. Low 61F. Winds SSE at 10 to 20 mph. Chance of rain 100%. 1 to 2 inches of rain expected. 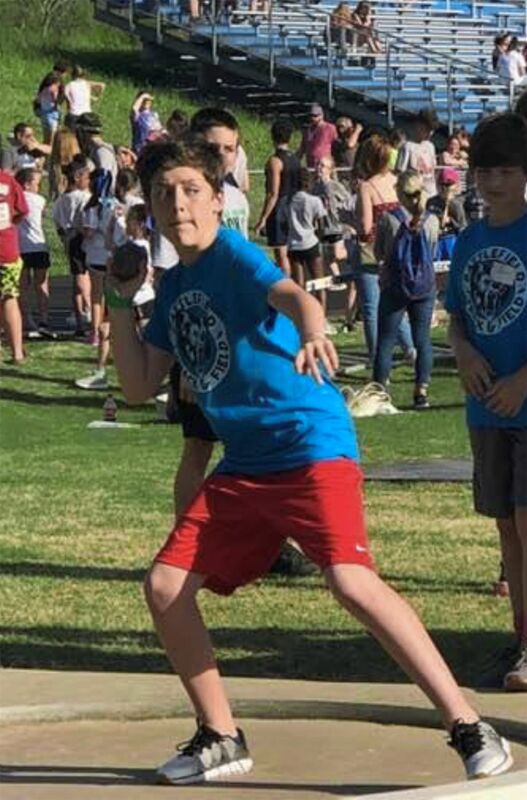 Cayden Lowery, a fifth-grader at Battlefield Elementary, competes in the shot put. Battlefield Elementary School Coach David Camp and student Jake Collett at the track meet. Collett finished first and second in the 50 and 100 race.